Things To Do In Dallas On Tuesday, December 5. Join Wififunerals’ Antisocial Club At Cambridge Room (House of Blues), Rise Today With Alter Bridge And Drop The Mic At Dallas Open Mic at RBC. Evans and his team have finally booked Alexa Chung, a highly requested guest by the fans. In past episodes, Sean Evans has said the show is loosely inspired by her interviewing gigs over the years and would not exist without Chung’s television personality. Therefore, it was only a matter of time before the Hot Ones’ Queen made an appearance on the show…and got her suffering with some hot sauce. We wouldn’t wish the pain of eating Bliar’s Mega Death Sauce with Liquid Rage on anyone, but we insist that you check out our list of events below guaranteed to be pain free. Once again, the members have combined the best of its strengths and different styles such as blues, soul, and Americana and applied that algorithm to its newest album. The three have tapped into something new but still reminiscent of its first project. Tonight’s show should be a classic performance. Born as Issa Christopher Tweimeh, he became a popular social media personality very quickly but took a break from the internet as his celebrity status was beginning to overwhelm him. He belongs to the second generation of YouTubers and since 2016 he has picked up over 2 million subscribers. Tweimeh is of Arabic descent and identifies as part of the LGBTQ+ community and uses his social platform to connect with people who share similar experiences. The Palm Beach rapper’s latest album, Boy who Cried Wolf, describes his struggles with depression and drug use during his rough upbringing. He was spending many nights in the emergency room during the making of Black Heart Revenge before he decided to prioritize his music. We’re glad to hear he is focusing on his craft and the show tonight. The hard rock band from Orlando, Florida has dropped its fifth full-length album, The Last Hero, which made it to No.12 on the Billboard Top 200. The album explores the lack and need for heroes and encourages the members to utilize different tunings and instruments for the making of it. Join the good folks over at the Texas Theatre for two classic Christmas features in one night. First Feeders 2: Slay Bells, a film about aliens invading Earth during the holidays and it’s up to Santa Claus and his elves to save Christmas. Second, the film Elves depicting an experimental breeding of elves unleashed onto Earth, and the task of saving the human race would be a Santa Claus played by Dan Haggerty. A night of radical fun which will include free tacos and more than 25 artists and producers that will compete for some free studio time. The event will also be an opportunity to network with other creatives and professionals. 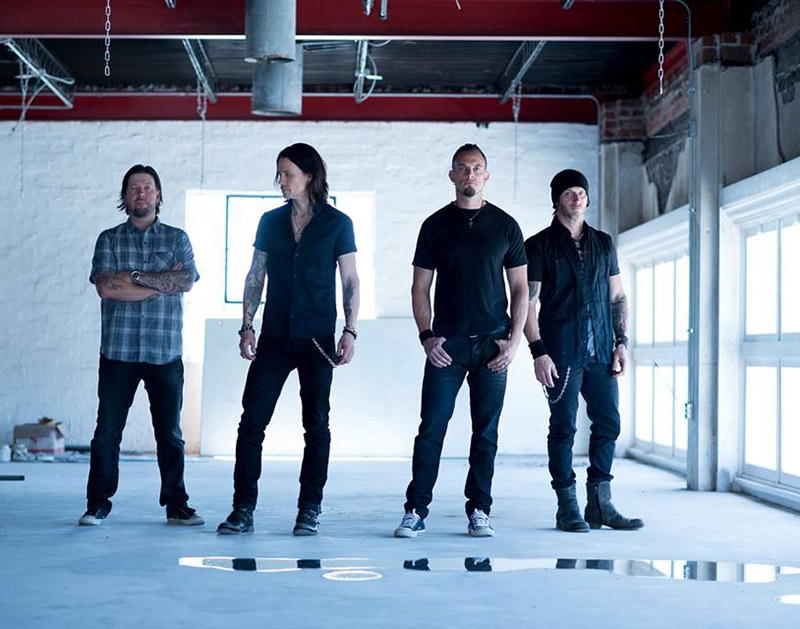 Cover image via Alter Bridge Facebook Page. Previous ArticleBureaucracy And Nefarious Court Filings Wildly Upped Lee Statue Removal Tab. Next ArticleHow Mariah Carey (Maybe) Stole Christmas From Dallas.